This is the first post-Miller Path song we've heard from Family Band, who record music in a cabin in the woods in a vacuum. It's not so much a gimmick as it is essential to the music they make. A deep sense of loneliness seeping into every track. This time around, they're covering Jack Nitzsche's "Marie," which shares a lot of the touchstones that Family Band love to use: empty room reverb floating between all the spaces in the song and a sense of isolation inescapable even in the song's warmest moments. 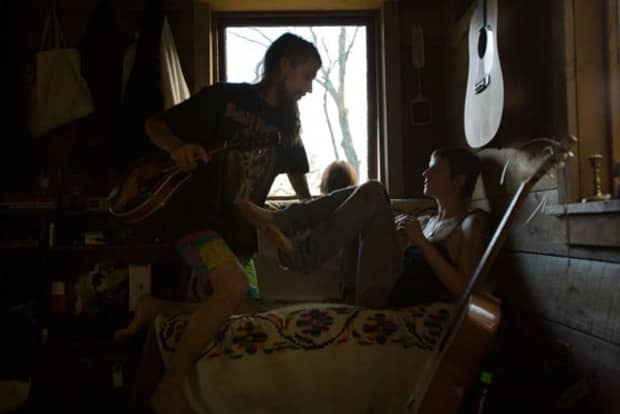 Family Band excel at creating an intense impression of sadness and loneliness, even when you know that they record in a warm cabin they've built themselves—a future home for a future family. It almost feels weird to listen to this in mp3 form, like maybe we should have found it scratched and crackling on a moldy 45 in the attic of our parent's house. Buy the awesomely screenprinted record from the band right here.